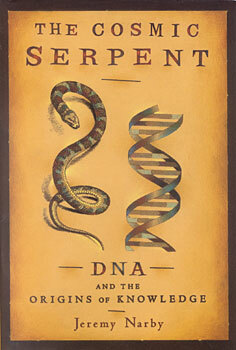 The Cosmic Serpent is a personal adventure, a fascinating study of anthropology and ethnopharmacology, and a revolutionary look at how intelligence and consciousness may come into being. In a first-person narrative of scientific discovery that opens new perspectives on biology, anthropology, and the limits of rationalism. Jeremy Narby reveals how startlingly different the world around us appears when we open our minds to it. "This is the most exciting book I have read in years. It is a spellbinding, scholarly tour de force that may presage a major paradigm shift in the Western view of reality." "Jeremy Narby's pioneering work takes the frontier of science another leap forward toward understanding the primary enigma of our time--the role of consciousness in the evolutionary patterns of the universe." "The Cosmic Serpent offers intriguing connections to a knowledge road less taken--that of indigenous hallucinogenic drug use--and how this road may connect in the future with that of molecular biology." -- Dorion Sagan and Lynn Margulis, authors of What Is Life? Jeremy Narby, Ph.D., grew up in Canada and Switzerland, studied history at the University of Canterbury, and received his doctorate in anthropology from Stanford University.